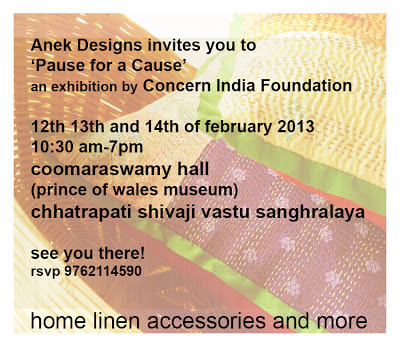 and another: "Pause for a Cause"
anek designs is proud to be showcasing in pause for a cause, an exhibition hosted by concern india foundation on the 12th, 13th and 14th of february! 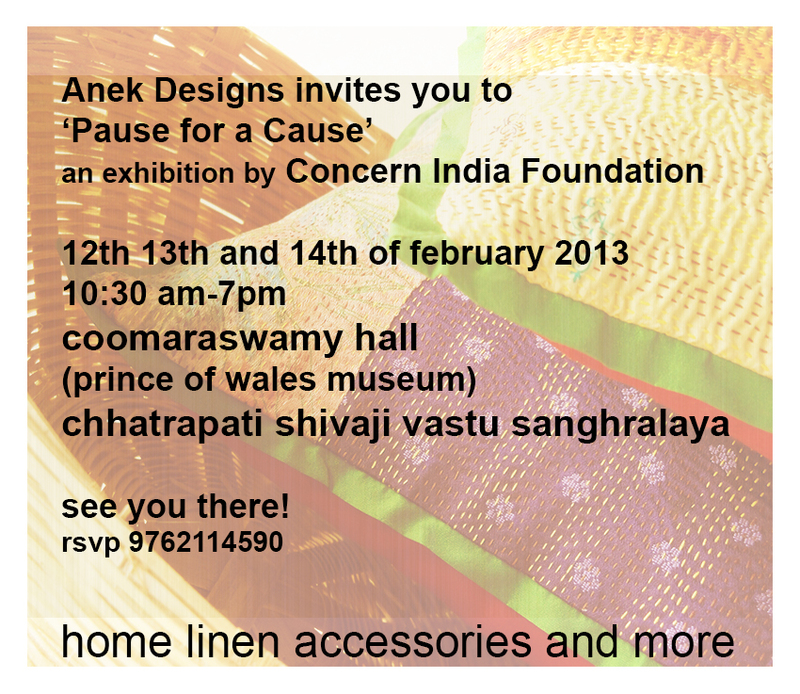 you are cordially invited! 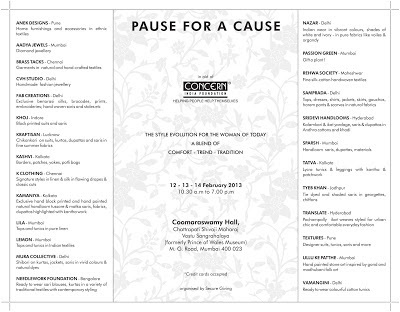 it would be so lovely to meet all my mumbai blogger friends!! do try and come, its going to be amazing, i promise!! This looked very exciting. 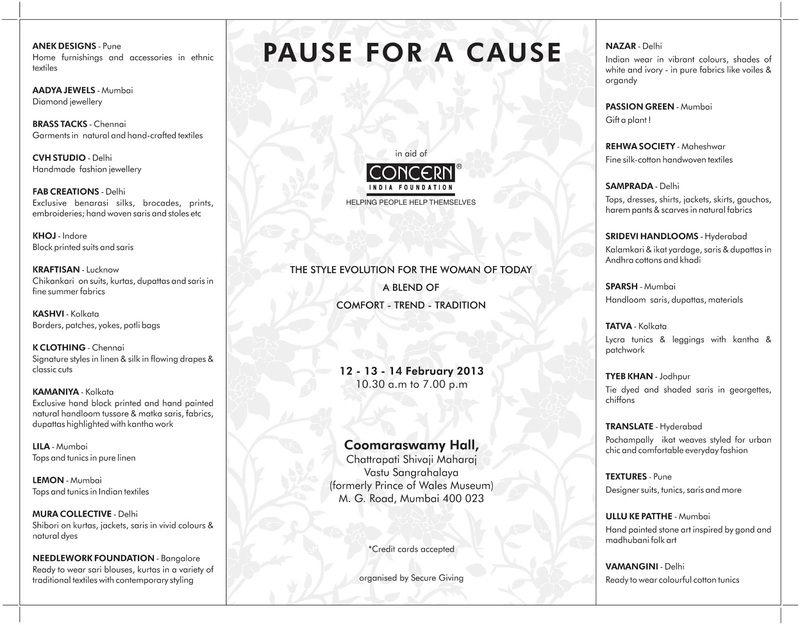 Sad I missed it. Theres also a lovely exhibition on Art Deco furniture at the prince of Wales museum from the 23rd - 24th Feb! Try going for it.